Neil Aspin was unable to do his former side a favour as Gateshead lost 1-0 at home to Southport in the National League on Tuesday night. The result means FC Halifax Town are now seven points adrift of safety after Southport moved out of the relegation zone thanks to Louis Almond’s 56th minute winner. 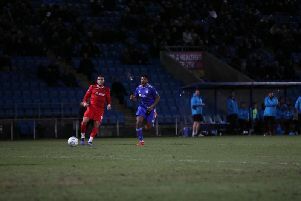 The game leaves Aspin’s Gateshead five points short of the play-offs, and was his first defeat as manager after previous wins over Chester and Kidderminster.